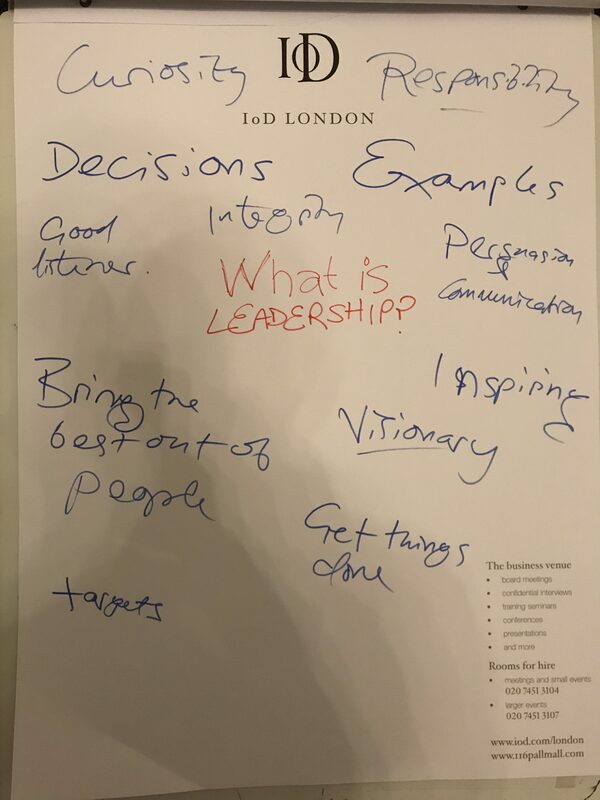 The answers were as wide ranging as the participants: from ‘integrity’ and ‘visionary’ to ‘getting things done’ and ‘being a good listener’, the tone was set for our workshop around the principles of good communication from a public platform. The audience’s answers gave us a helpful metric to gauge what they aspired to in themselves, and what they expected from leaders. We were delighted that one of the key things raised, which we think is critical, is the aspect of communication. 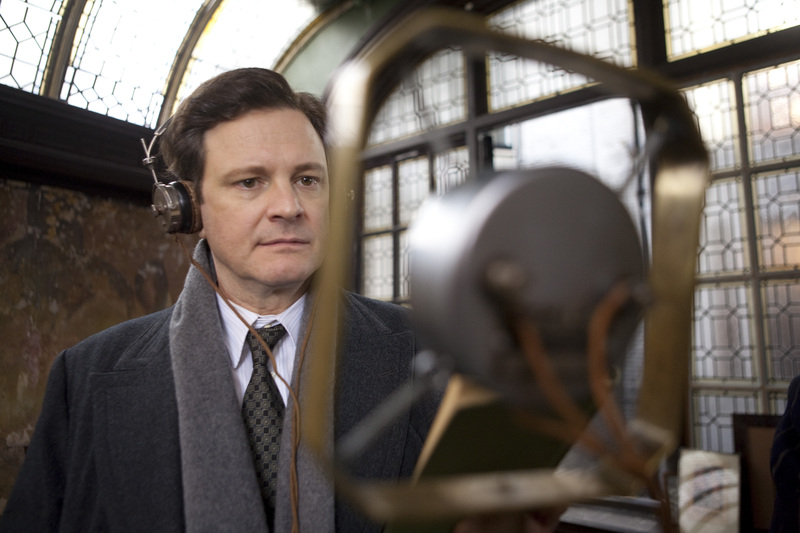 One of our favourite films, The King’s Speech, makes the link between communication and leadership absolutely plain. The central character’s stammer makes him (in some eyes) unsuitable as a leader, whatever other qualities he may have. We follow the main character, Bertie, through personal, constitutional and international crises, and his determination to communicate achieves a greater symbolism. The King’s Speech is set at the very beginning of the age of mass communication. Now, in our world of 24-hour news, social media and door stepping journalists, being a leader isn’t something you can do on the quiet, but this doesn’t matter: the greatest leaders in the world are of little use to others when their qualities are invisible. If you want to ‘inspire others’, ‘bring the best out of people’ or ‘take responsibility’ – you have to communicate, and we would argue that you can’t do any of those things well if you do communication badly. Communication comes in many forms, and two that are worth mastering are media appearances and public speaking. Why particularly these two? Sir Robin Murray, a leading psychiatrist, says that human brains are ‘the most complex things in the universe’, and when one brain communicates with another, it’s about one of the most difficult things they can do. Think about all those times somebody took something you said as meaning the complete opposite of what you intended. On top of the actual spoken words are things like body language, eye contact, tone of voice, gesture and so on – the total communications package. If you’re trying to consciously control all of those things, you’re keeping a lot of balls in the air. We can type a lie, but we can’t always tell one. And if a television camera is in your face, the viewer at home will have their own opinion on whether you’re being disingenuous or not. Appearing in the media is a very effective way of communicating your style of leadership: your response to an event, particularly a crisis, tells the audience what you’re like as a person – and what they can expect from the organisation that you lead. In the digital world, what you do in the moment can last forever, so there can be a real sense of your character being tested under extreme conditions. Leaders can benefit from being in the media, because the audience can get up close and see how they think. We never counsel that you should deliberately go out of your way to make mistakes you can later rectify with a flourish to make yourself look good; you will have plenty of crises that naturally occur to keep you busy. If you don’t think you need to worry about how to respond to a crisis in the media, bad news: you are behind the times: according to the 2017 KPMG Global CEO Outlook, reputation or brand risk is one of the top three risks facing businesses today. This is a new development – as this wasn’t even in the top ten in 2016. The other advantage of being in the media is that it gives you credibility: if you appear on the news, you must know what you’re talking about. The more familiar your face, the stronger your personal brand. People won’t always like it (or you) but they’ll know where you will likely stand on an issue. Public speaking is a different animal; because it’s a one-off event, you’re speaking to people directly, and although the reach may be smaller than other media, there is something about a live event that makes a well-delivered message hit home. There is no room for a retake, and if microphone suddenly cuts out or the set falls down, you’re going to have to deal with it there and then. The one advantage of making mistakes in front of a crowd is that it’s less likely to live on in cyberspace – and if the event is a disaster because the lights and sound fail (and you carry on as best you can) you’re more likely to be remembered for your stoicism rather than be blamed for technical failure. The only way to get really good at speaking at meetings, pitches and conferences is to speak in public, in front of colleagues and clients, and learn from your mistakes. As with any other endeavour, the gift of honest feedback is something to treasure. Plenty of people will line up to tell you that you were great, even when you weren’t – particularly if you’re the boss. It’s important to come back to the point again: however good you might be as a leader, you’ll have limited impact if you don’t communicate to others en masse. One-on-one communications are brilliant but if you can’t talk to every staff member, supplier and customer one at a time, you need to master speaking in front of people and media appearances. These skills are not something you’re born with; they have to be learned. And they are not ‘nice to have’; they are an essential part of the leader’s toolkit. Put it this way: if someone doesn’t present themselves with authority and authenticity, what does that say about the organisation they are supposed to be leading? And if you can’t make the case for the people in your organisation, you are doing them a disservice. If you haven’t thought about how you come across in the media or presenting in front of people, now is the time to think about it – and this blog post ends now to give you a moment to do exactly that.